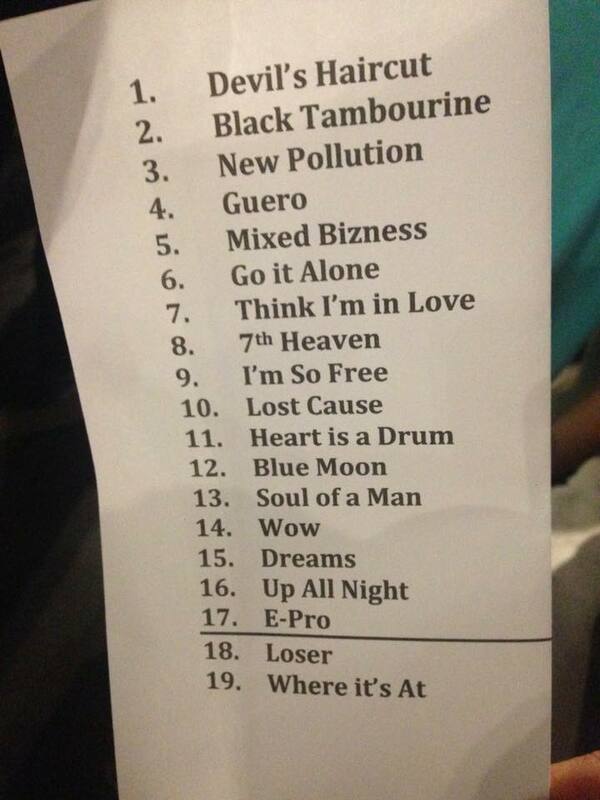 Beck closes his little Australian Colors tour in Melbourne. "Seventh Heaven" made its tour debut, though he did play it once before a few months earlier. Also, Beck moved his solo acoustic portion from the start of the show (as the prior few gigs) to the middle: "Everybody," "Raspberry Beret," and "Debra" were not on the official setlist.